and strength, and is easy to handle. Weak attacks are replaced by fast, alternating horizontal slashes that do not cause staggering if they miss. 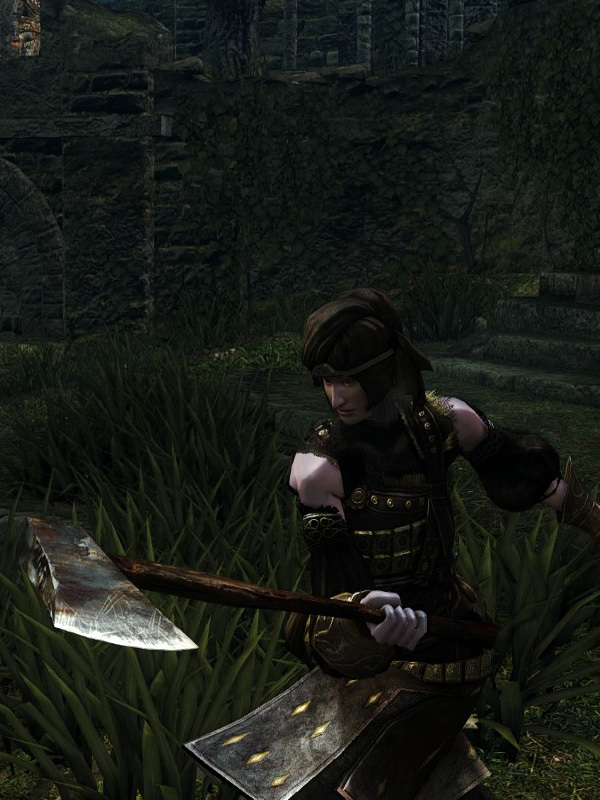 Strong attacks are replaced by the normal weak attack of axes. 60% STR, 30% DEX scaling. 45% STR, 23% DEX scaling. 17% STR, 8% DEX, 65% INT scaling. 12% STR, 6% DEX, 63% INT scaling. Unknown amount of additional INT scaling. 23% STR, 12% DEX, 64% FAI scaling. 22% STR, 11% DEX, 76% FAI scaling.